Both these words are related to the finance. When a client has purchased goods or taken a service without paying a price for it and making a promise to pay it later but it doesn't happen. Which means a money has been owed to a company, by its clients or customer. So the loss occurred in this is treated as a debt. 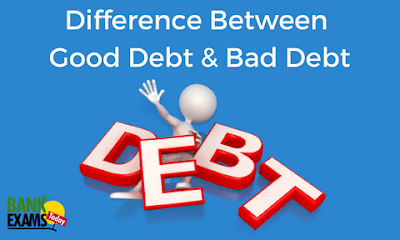 Bad debt and doubtful debt both are a type of debt. When a company has given goods and services to its customer on a credit for some period it becomes receivables for the company. When creditors turn out not to repay the money and a company is unable to collect the amount ever, it is declared as bad debt. In a bad debt, a debtor fails to collect his accounts for the items sold on a credit in a certain period of time. A bad debt is written off by debtors and it is accounted as an expense to a company. This situation occurs when the creditor has been declared a bankruptcy by the debtor. So, the loss incurred on the credit given to the client sometimes interest also considered as a bad debt. This money is the account receivable means the company is a debtor and the customer is a creditor. So in a simple language, when a company is owed to its customer and a business entity is not able to collect and will not be able to collect in future, that amount of money goes to bad debt. A company makes provision for this type of loss. It looks like same as the bad debt but both are a little bit different. Doubtful debts, which are not included in the bad debt, are considered or counted as a doubtful debt. When a creditor turns out not to pay money and a company may be able to collect the money so there is a chance of an amount will be recollected, it is called a doubtful debt. So, as the name suggests that doubtful debt, there is a possibility that the money will come, so this possibility makes doubtful debt. When an uncertainty comes to an end for the receivables doubtful debt turns to a bad debt. A company makes provision for this type of loss to cover in future like provision for doubtful debts. When a money, which is owed to its customer and a business entity is not able to collect and will not be able to collect in future, that amount of money goes to bad debt. When a creditor turns out not to pay money and a company may be able to collect the money so there is a chance of an amount will be recollected, it is called a doubtful debt. In bad debt, a creditor is declared as a bankrupt by the debtor. In doubtful debt, a creditor turns out not to pay the money. In bad debt, there is no possibility that a money will be collected by a debtor. In doubtful debt, there is a possibility that a debtor may collect the money. Bad debt has a direct relation with the doubtful debt because when the possibility to collect money ends, a bad debt occurs. Doubtful debt doesn’t depend on the bad debt.